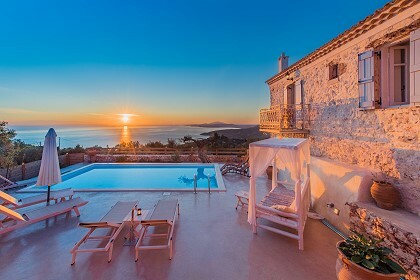 Nisos House is a beautiful two-story house in Pantokratoras, Zakynthos, with a distinctive family character that will offer you a memorable experience. Contemporary amenities, combined with the characteristic cozy and colorful style of the building and the relaxing outdoor areas, make Nisos House the best option for all of you who seek a place to unwind from your daily life! 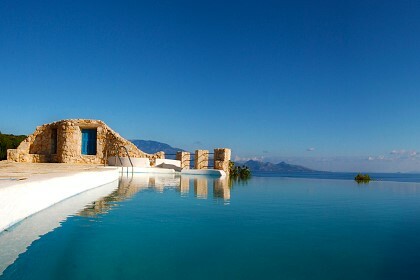 Nisos House measures 120 square meters and can accommodate up to 7 guests. It offers three bedrooms. On the ground floor, there are two air-conditioned bedrooms, both equipped with queen-sized beds. There is also a bathroom with a shower and an open-plan spacious living room with a fireplace, which is combined with a fully equipped kitchen. The third bedroom is located on the first floor, and features four more beds, three single and a queen-sized. Nisos House’s outdoor spaces are relaxing and you can and enjoy your meals in the outdoor dining space! There is also an outdoor shower and a basket. Nisos House offers private parking, free WiFi in all rooms and public areas, air-conditioning,, as well as 24-hour hot water – and many more! 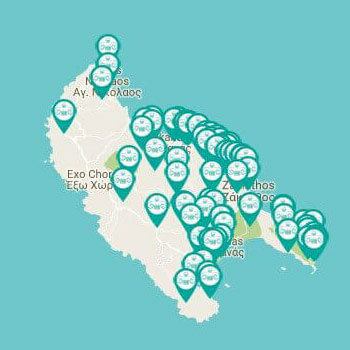 Other extra services such as car, motorcycle and bicycle bike rentals, boat trips and transportation to and from the Zakynthos Airport, can be arranged upon request and with an extra charge. 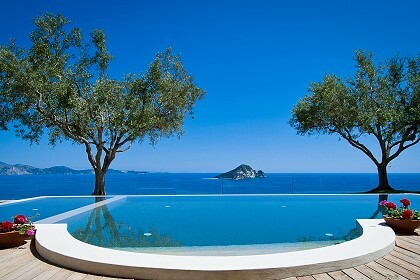 Nisos House is located in Pantokratoras, an area near Laganas and Agios Sostis, two very popular resorts. Agios Sostis features a charming beach, excursions and bars. Laganas is one of the liveliest places to be in Zakynthos during summer, with a long sandy beach, multiple amenities, watersports, turtle spotting excursions, bars and restaurants.